SAN MATEO, Calif. - Feb. 7, 2018 - PRLog -- The Average White Band, who is anything but average, is coming to the San Mateo County Fair. Triple Grammy nominee Average White Band is the second main stage act to be announced for the San Mateo County Fair's 2018 concert series. 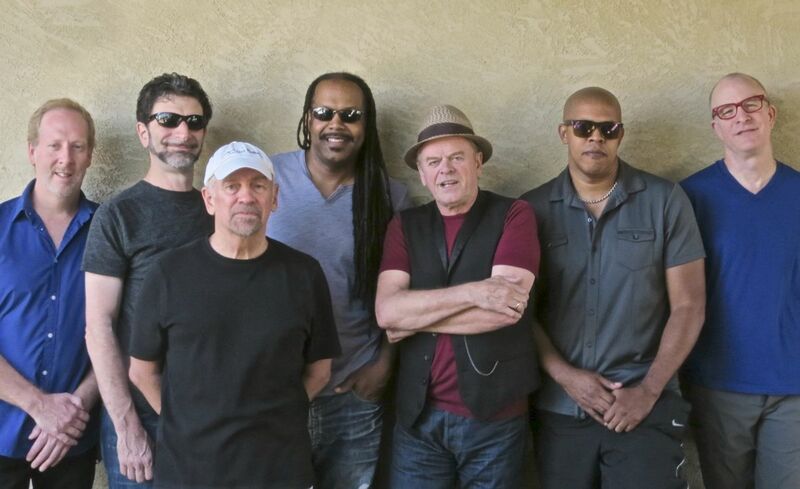 The Average White Band concert slated for June 15 at 7:30 p.m. All main stage concert general admission seating is free with fair admission, on an open seating, space-available basis. For reserved seating the fair's Gold Circle admission includes fair admission plus reserved prime seating in Fiesta Hall (main stage), private entrance through Expo Café for the show, and easy access to the no-host bar and no-host food area. The 9-day fair opens on June 9 and runs through June 17. Discount admission, carnival, and Gold Circle tickets go on sale on March 12 at SanMateoCountyFair.com. Discount fair admission prices are $10 adult; $8 junior (ages 6-12); and $6 seniors (ages 62+). Discount Gold Circle admission is just $40 (all ages). Discount unlimited ride wristbands are $28, good any day of the 9-day run. "To have the caliber of entertainment like Average White Band included with fair admission creates amazing 'value' for our fair guests," said Dana Stoehr, CEO of the San Mateo County Event Center and Fair. "The fair experience is even more enhanced when guests take advantage of early bird discounts." "Average White Band is a very popular soul, R&B and funk group" said Stoehr. "We are delighted that this pinnacle of live soul and funk music will be in San Mateo this June." The seven-piece Average White Band with Scottish roots, was first known for the timeless instrumental hit Pick Up the Pieces. They solidified their future with diverse songwriting and a unique approach—the defied strict adherence to any one facet of rhythm and blues. The band's success stretches across several gold and platinum albums and triple Grammy nominations. They were the first British group to simultaneously top the U.S. Top 100 Singles, Albums and R&B charts, before garnering similar UK and international honors. Many of the band's tracks, including Cut the Cake, Queen of My Soul, Atlantic Avenue and Let's Go Round Again, attracted major chart action. Some of their album cuts, like Schoolboy Crush, Love Your Life and I'm The One, were sampled and spun as deep grooves.